Picture a girl who is working her hardest at the squat rack. She's proudly adorning loudly-patterned calf-high socks. She doesn't have makeup on, her hair is up, and sweat is dripping off of her body. That girl is the most confident girl in the room: she has taken everybody else out of the equation. In this moment, the only thing that matters to her is that she's doing the best that she can with her body. "That girl is me," said Anne, a PumpUp motivator who has come a long way in terms of body confidence and self-acceptance. "For some people, the gym is a place to get a workout in and go home. For me, it's a place where I just love every aspect of who I am. Nothing can take that away from me." One year ago, Anne truly began to focus all of her attention toward her health and fitness. She joined the PumpUp community to seek inspiration from like-minded people. 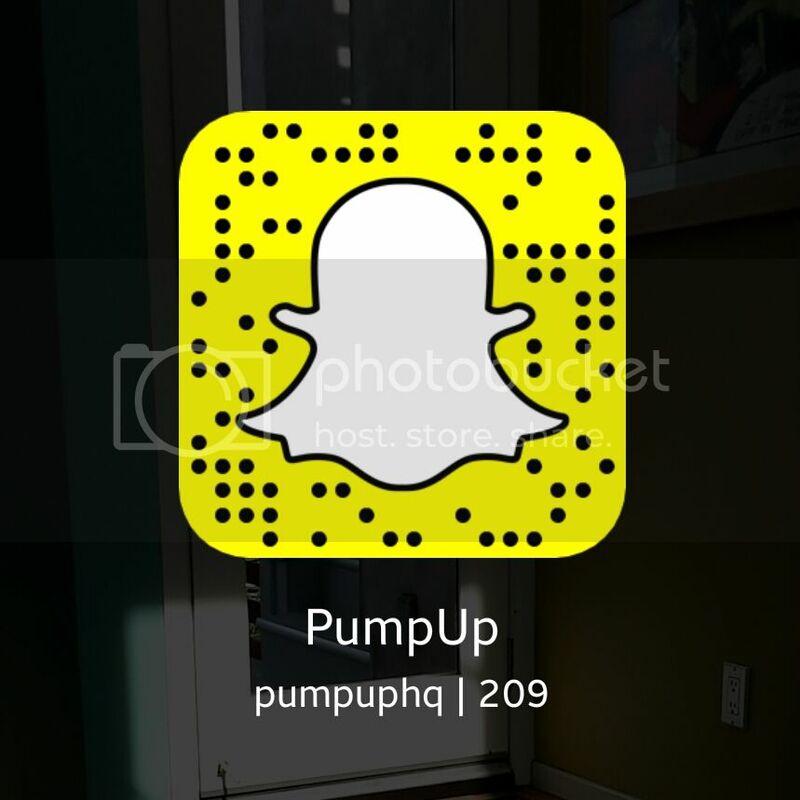 "I am a big social media user and [PumpUp] is an amazing way to learn from others," she shared. "You get ideas all while sharing your own thoughts and ideas." Before she joined PumpUp, Anne was highly engaged in competitive cheerleading. She lifted heavy weights and trained hard for multiple hours a day. However, Anne knew that something was missing from this equation. "I didn't know that there was more to being a healthy person other than just being active," she admitted. "I didn't know how to eat healthy. After I found PumpUp, I [really became] healthy. I learned how to truly fuel my body the right way. I have never felt happier." Anxiety is a major obstacle that Anne struggles with on a daily basis. She made a life-altering decision to move to California a few months after joining PumpUp, and this impacted her mental health in so many ways. "[It] was the biggest thing that scared me," she expressed. "One day, I decided that there wasn't one person's life I envied in Minnesota. I decided that it was time for me to go to a place where health was big and I could really follow my dreams, but that was scary." Multiple times a week, Anne suffered from intense panic attacks and found herself crying in bed when she contemplated her decision to move. She shared about these struggles with the PumpUp community, and other members gave her the support that she needed to feel more confident about her choice. "I felt so scared and overwhelmed, but I knew that it was something I had to do in order to be my true self," she confirmed. "Here I am in California. I'm happier than ever. I really feel like I can be the best version of myself. Yes, it sounds silly, but moving states made all the difference." Anne hopes to foster a supportive sense of community among her fellow PumpUp members. She shares all about her physical and mental health through her weekly Snapchat takeovers. "[As] part of [PumpUp's] supportive community, I hope to share my story and the things I know so that fewer people have to go through as much frustrating trial and error as I did," she revealed. "[Whenever] anyone comes up to me or messages me on PumpUp to tell me that I have really inspired them and changed their lives, [it's] better than anything. My biggest personal accomplishment is being able to say that I have helped to change people's lives for the better." Weightlifting is Anne's favourite way to stay physically and mentally active. "It's an amazing feeling to know what your body is capable of when you give it everything you've got," she shared. "It helps me stay mentally in check because it lets me focus on who I am and what I can do and how far I have come instead of just what I look like." Now, Anne doesn't let other peoples' opinions to hold sway over her goals and her lifestyle. "Having a healthy mind to me means being at peace with who you are," she mused. "[It's] knowing that although there are places you would love to be and goals you would like to achieve, you are happy with the life you are living." Change doesn't happen overnight, so just keep going. Focus on being your best self while you work for the body you want. Strive for progress, not perfection. I would not be where I am today if it was not for my family and friends. They have played a huge role in getting me where I am today with all their love, support, and encouragement. Having people to listen to you when things don't go your way and always there to keep you grounded when you do find success. A big role model for me is Dana Linn Bailey. Not only is she is an amazing athlete, but she is an incredible woman as well. She has taught me that it is okay to be a woman and be strong and powerful and not to care about what the "haters" say. Life is about being who you want to be, not who others want you to be. If I had a super power it would be to be able to clean the dishes at the snap of my fingers! Keep Anne pumped! Follow her on PumpUp @anneprins10 for an extra dose of motivation and check out her takeovers on PumpUp's Snapchat account (pumpup) every Monday! Follow her YouTube channel for vlogs about her daily life.